This is tiny stuff! Difficult, but not impossible to accomplish, this triple lapped turnout is what leads into the engine house, the carfloat apron and to the “New Yard” section of the terminal. This is all built in N scale code 40. 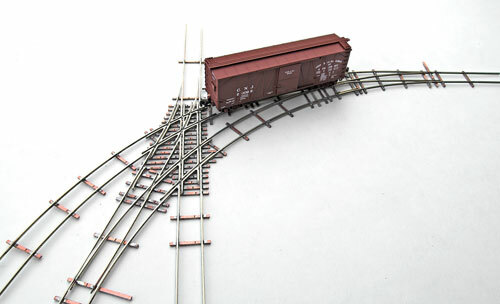 It isn’t much more difficult to work in code 40 vs. code 55, and in some ways it is easier as code 55 rail is out of proportion when the width of the base is compared to the height of the rail, and this excess width can be very challenging to get everything to fit in tight spots on trackwork like this. The finished trackwork runs nice and smooth, the cars can handle these tight curves and even couple properly on them which is critical as I do intend on operating this layout. 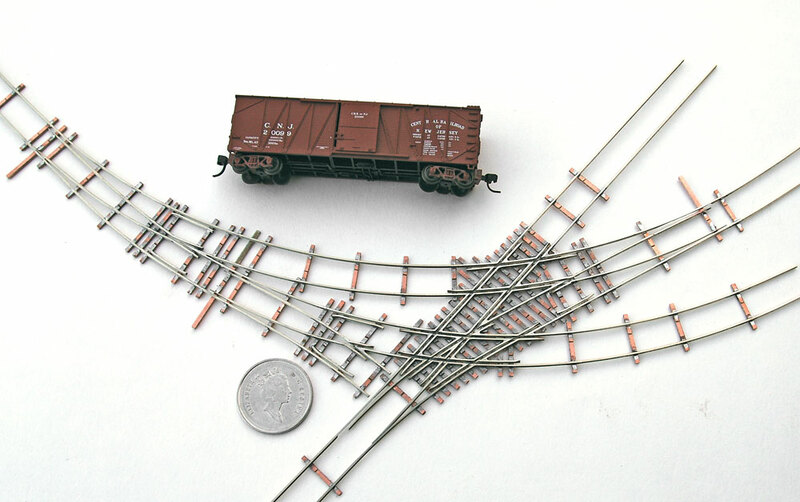 This is probably the hardest section of trackwork for the N scale version, the rest is still challenging, but not nearly as complex, only variations of turnouts. To complete the trackwork I will be using all PC board ties mounted to laser cut plywood roadbed and mounted to a foam board. This should result in a light and portable module. Control will be simple DC, as DCC is not necessary for a layout like this as there was only ever one loco on it at a time. The engine could be a challenge, as there are no small Boxcabs available in N scale that I know of, so I may have to scratchbuild something. 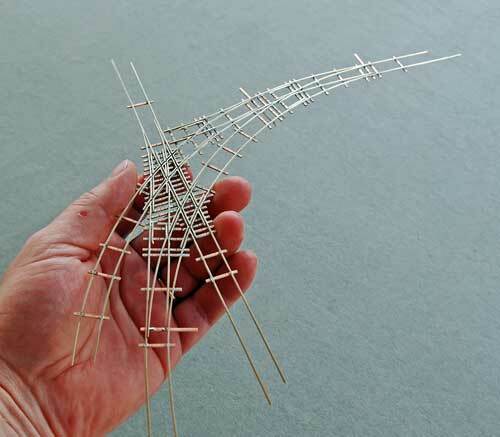 There was an article in Model Railway Journal about building a ultra small 2mm/ft UK outline diesel, if you end up going down the road of building your own, try and find a copy of it. IIRC, the engine is around the size of a loony in length, if not a bit smaller. That is amazing! 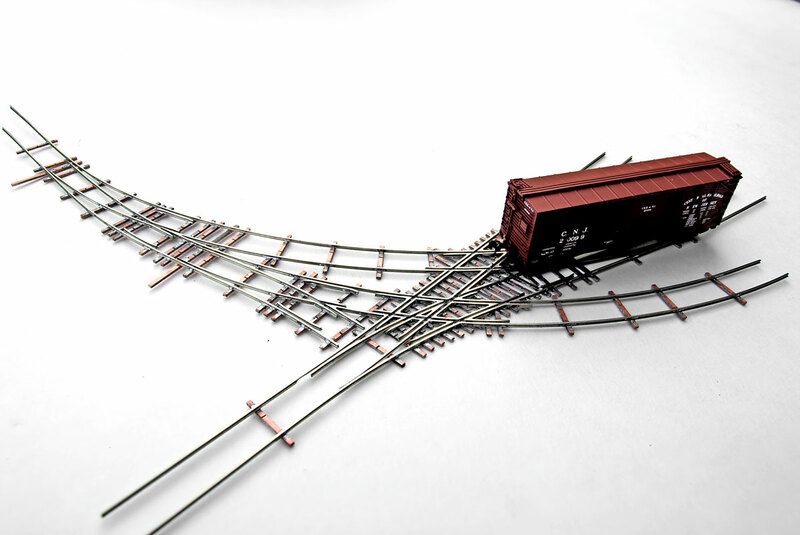 I am a big fan of complex trackwork like that, and I would very much like to build such a thing myself. How did you manage to file all of those frog points and to hold them at the correct angle while soldering? How did you hold all the pieces together for final assembly? I like your turnouts. At least the ones that could actually be used in the real world. 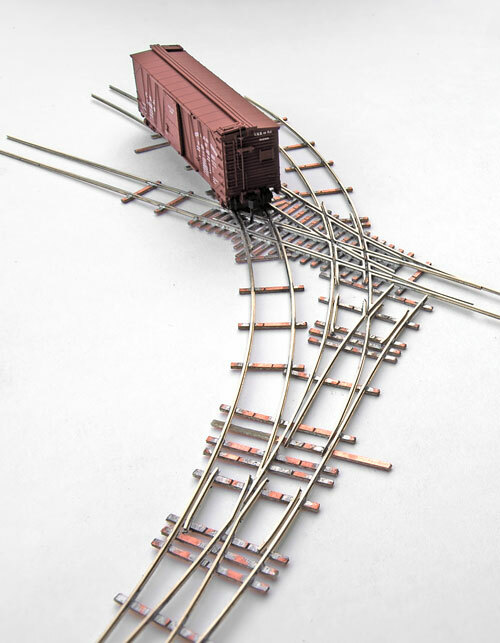 Whats with the ones with a dead end turnout into the point rails of another turnout? Are you considering them as just works of art? Just curious, will the N-scale version still be built? The HO version is excellent! 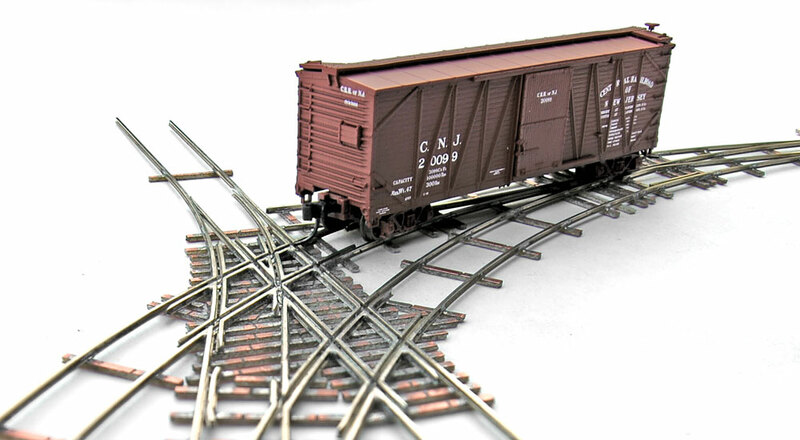 And did you see that a German company made Z-scale box cabs in CNJ livery? Tim, I too am interested in a N scale boxcab. I know there is nothing out there. However, I have noticed a similarity between the Atlas steel caboose body and the boxcab. You might need two sides from two different bodies, but I think it might be doable.